For optimum financial performance, effective cashflow forecasting is essential. Whether you run your own business, or work within a financial role, you need to have an understanding of how cashflow works, and how to manage it. 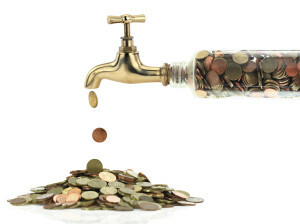 Cashflow is the essence of an organisation. Without it, your business cannot pay its debts, its suppliers, or its employees, which will eventually result in insolvency. Effective cashflow forecasting and management is all about ensuring you balance outgoing and incoming funds in a way that makes the cash required available at the right times, allowing you to perform at your best. You need to create and update your cashflow forecast using software that allows you to organise and sort the data properly. Microsoft Excel is a popular choice, as it allows you to use formulas that automatically update totals, so that you’ve always got an accurate overview of your cashflow status. In your cashflow forecasting template, you can update best and worst case scenarios quickly and easily, so that you are prepared for the various possible outcomes. You’ll be able to see a summary of the lowest potential revenues and highest potential costs, and vice versa, for each month. Effective cash flow management involves planning far in advance, so that you can predict future outcomes. This means looking at sales forecasts, impending bills, employee salaries, and other factors that impact cash flow, and using them to anticipate the financial state of the business in the coming months. It is important to keep your cash flow forecast up-to-date, so that you always have the latest picture. You can then make suggestions and plans based on that picture, preparing reactions to what-if scenarios such as the impact of increasing staff numbers, of making fewer sales during a particular month. Along the way, you are likely to face obstacles like limited cashflow, and these require prudent solutions that make the cash required available again as soon as possible. Effective solutions often include better resource management, and diplomatic negotiation with suppliers. Being aware of these issues sooner makes them easier to resolve. To help you get to grips with cash flow forecasting and management, there’s a webinar on the 22nd July that will guide you through the specifics steps involved in the process. If you can’t attend this date, you can request to be sent a video recording of the webinar. Sign up and find out more here.